1. This is a psychological thriller, emphasis on the psycho. Now that I’ve made those things clear, perhaps you will know whether or not this book is for you. The entire story is in first and second person. When narrator Joe Goldberg says, “You,” he means Guinevere Beck, the young writer he’s stalking. He works in a small book shop in New York City and one day Beck, as she prefers to be called, walks in. Immediately, he is rapt, and thus begins a long, twisted story of how he follows her, studies her, and eventually connects himself to her. Joe is a disaster, as his thought processes prove. We are in Joe’s brain, we are alongside his behavior, we watch a scary story unfold. Initially, we want to warn Beck, but then… we don’t. Here’s what I love about this book. First, it’s entirely fresh. It’s new and different and unlike anything I’ve read. 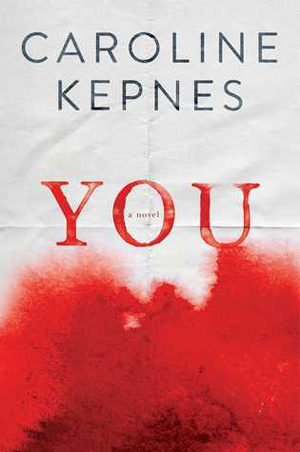 Second, Kepnes’ character development was near flawless. Each person was uniquely individual. (This is a skill I long to develop.) Third, I didn’t know how it would end. My suspicions were confirmed, but I wasn’t confident. I wasn’t sure. That’s a wonderful feeling when reading a thriller. You want to live in the tension of not knowing.